engage:BDR, a Los Angeles, CA-based cross-device advertising solution company, acquired mydiveo, a global artist discovery platform and creative social network, for $7.4m. Launched in 2015 by CEO Driss Ouazzani and CMO Roslynn Cobarrubias, mydiveo raised $4m in private funding. The acquisition was the first among a series that engage:BDR has slated for the remainder of 2016 and early 2017. LOS ANGELES, CA – Aug. 29, 2016 – engage:BDR, a leading cross-device advertising solution company, today announced that it will acquire mydiveo, a global talent discovery platform and creative social network that cultivates discovery and collaboration by providing artists with a mobile portfolio to showcase their talent, for $7.4 million USD. The acquisition is the first among a series that engage:BDR has slated for the remainder of 2016 and early 2017.
engage:BDR’s acquisition of mydiveo benefits brands and agencies that work directly with the company because it now owns and operates the artist network. This allows clients to directly access mydiveo’s premium, highly-engaging ad inventory, extending their reach deeply into a valuable audience: independent music artists and their loyal fans. For instance, auto brands currently working with the company can now activate specialized campaigns aimed at driving awareness or action from bi-coastal millennials passionate about indie electronica bands- with creative designed to leverage their aesthetic leanings and improve engagement. It also benefits mydiveo users because engage:BDR is providing the network with the marketing and technology resources needed to serve them with richer experiences, tools and features. mydiveo’s current online property will provide engage:BDR with extremely rich, opted-in user data within their video platform, which will be a valuable addition to engage:BDR’s suite of targeting solutions.The acquisition also accelerates engage:BDR’s entree into the smart TV space, as the integrated team is works together to build the company’s first smart TV app. The app will focus on talent discovery content, which is an organic fit for the smart TV device. This adds immense value to video advertisers who will now be able to access this type of inventory. This initiative positions engage:BDR as one the first major advertising players to offer this wholly owned and operated extension directly to their clients. Launched in 2015, mydiveo raised $4 million in private funding and quickly grew to fill a special void in the marketplace– the desire of millions of musicians and artists to come together to connect, collaborate and engage. The acquisition also expands engage:BDR’s team through the appointment of mydiveo founders, CEO Driss Ouazzani and CMO Roslynn Cobarrubias. Ouazzani is a well-known entrepreneur having built Centurion Lifestyles, an exotic car rental company, from the ground up. He is also a partner at CurbStand – a mobile valet service that allows app users to pay from their smartphones before arriving to the venue. At engage:BDR, Ouazzani will continue to serve as CEO of mydiveo. Before founding mydiveo, Cobarrubias served 10 years as Myspace’s Senior Director, Artist Relations and Director, Integrated Marketing. During her time there, she developed their first go-to-artist strategy and grew from 2 million to 200 million active users, while expanding the hip-hop & R&B community from 126 to more than 2 million artists. Cobarrubias and engage:BDR Founder, Ted Dhanik, met at Myspace, and worked together on a highly successful program that integrated growing artists with top advertisers into innovative marketing campaigns, such as offline live events and original content. At engage:BDR, Cobarrubias will continue to serve as CMO of mydiveo. Both Cobarrubias and Ouazzani will report directly into Dhanik. 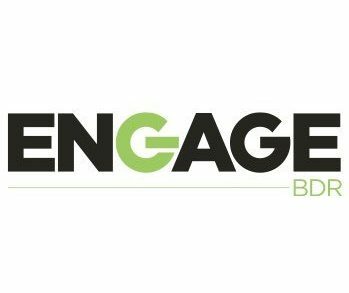 “It is tremendously exciting to become a part of the powerful cross-device media platform engage:BDR has built. There is a true synergy between both companies and we all share a belief that this acquisition will benefit music lovers, tastemakers and artists seeking connections, opportunities and memorable experiences with the brands vying for their attention, engagement and loyalty,” said Cobarrubias.